Fire Alarm Customer Changing Your Phone System? Let Us Know! 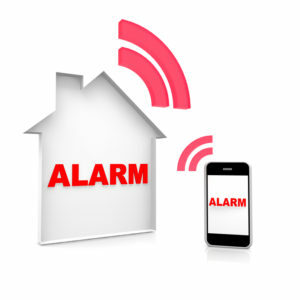 Are you a Denalect Fire Alarm Customer Changing Your Phone System? Let Us Know! With other telephone service providers becoming more popular and affordable, some of our fire alarm customers are switching from standard AT&T land lines to Voice over Internet Protocol (VoIP) systems (such as Vonage) or disconnecting their telephone line and relying solely on a cell phone. However, depending on the type of fire alarm installed in your home or business, it may not be able to report a triggered alarm, fire or other emergency to our Central Station Dispatcher. This is because many of our customers’ fire alarm systems communicate to our Central Station Dispatchers using standard AT&T telephone lines. Since fire alarm systems are required by state and local fire codes, each must be installed and serviced in accordance with the National Fire Protection Association code (NFPA 72). By code, fire alarms MUST be connected to two standard AT&T telephone lines, one that’s dedicated to the system and one that’s a backup, or one radio and one phone line, or a two-way radio. You can’t use a VoIP telephone number or a similar service for your fire alarm. However, for customers who are paying for two telephone lines, we can move you to cellular radio. That will reduce your monthly cost by eliminating your need for two lines. When you order the new service, tell the salesperson that you have a fire alarm. Make sure that they guarantee their service is compliant with the fire codes and that your fire alarm system will continue to send alarm signals to our Central Station. You should always test your fire alarm with our Central Station after the work is completed on your telephone lines but before they leave. If there are problems, have the installing company fix them or call us for assistance. So if you’re a Denalect customer that wants to make any of these changes to your telephone system, call our service department at 925-935-2680 to discuss between 9:30 a.m. and 4:00 p.m., Monday through Friday. If you’ve already made these changes, contact our service department right away. If the new phone service causes your alarm not to communicate with us, we can usually install a new transmitter that will communicate using wireless technology. The system is very fast, does not rely on any telephone, fiber optic or cable TV lines.